What the Magic Kingdom lacks in overall restaurant quality (here’s hoping the new Skipper Cantina in Adventureland delivers the way Be Our Guest did in New Fantastyland) it more than makes up for in having the most Must Do Snacks at The World, including the Corn Dog Nuggets at Casey’s Corner. 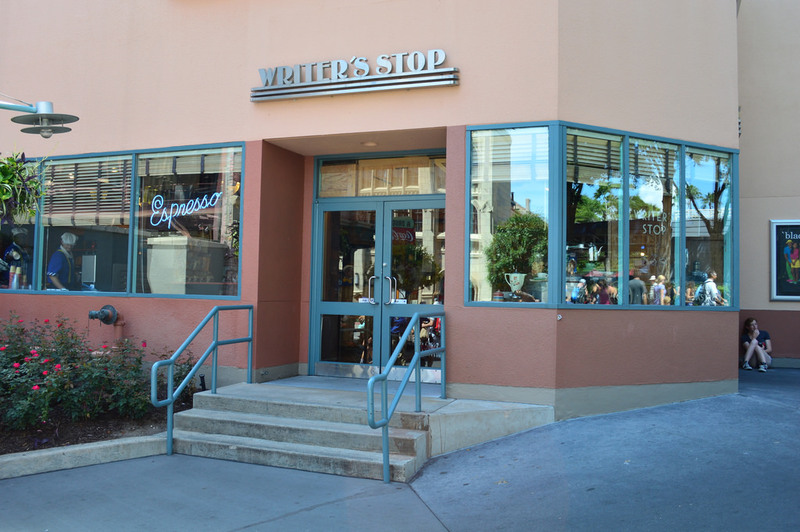 Located on Main Street USA, Casey’s is a great place to hop into, to grab a snack before the Festival of Fantasy parade, the Main Street Electrical Parade, or Wishes. 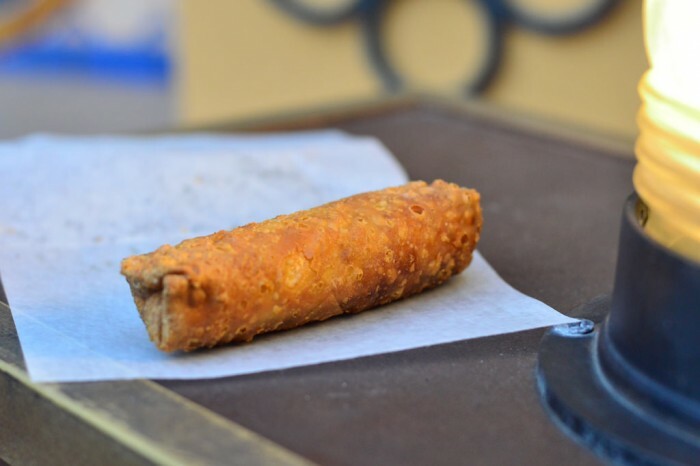 Besides being tasty, the Corn Dog Nuggets are the easiest snack to grab and go. Pair them up with your favorite dipping sauce (our choice is mustard, but we also enjoy BBQ sauce once in a while as well) and enjoy! 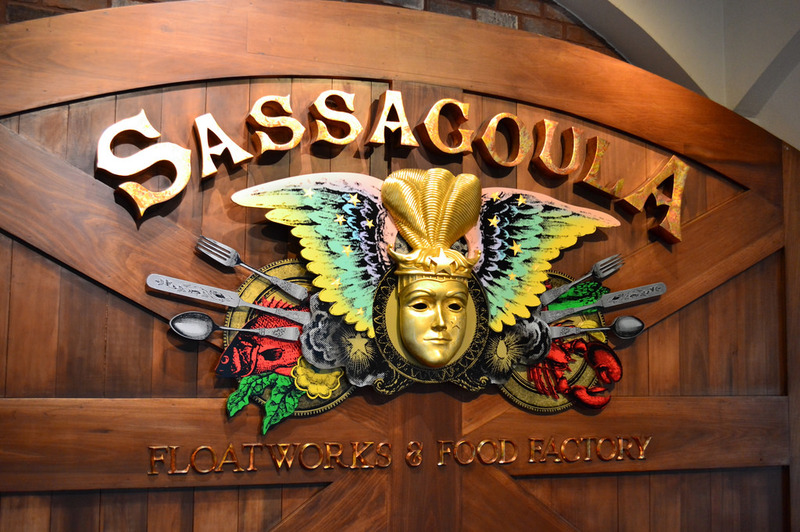 We are constantly changing our minds on our favorite Deluxe Resort (some days it’s The Contemporary, for others it’s Animal Kingdom Lodge, Beach Club or the Poly) but here at the SATURDAY SIX Port Orleans French Quarter is pound for pound the best Moderate at Walt Disney World. One of the many reasons? 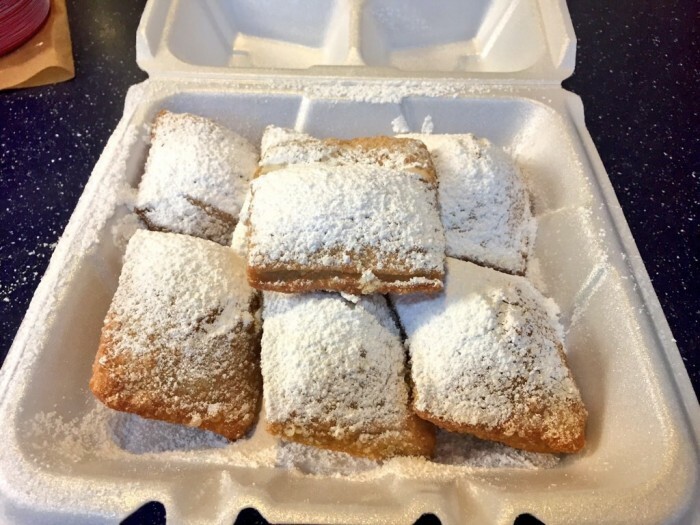 BEIGNETS. Always made fresh to order at the Sassagoula Floatworks & Food Factory, these warm pieces of fried dough covered in powdered sugar are – to quote Ned Flanders – scrumdiddlyumptious. Even if not staying onsite, we highly recommend spending a day walking around the Port Orleans Resort (don’t forget to stroll into the nearby Riverside, which is our second favorite Moderate) and taking in all it has to offer. 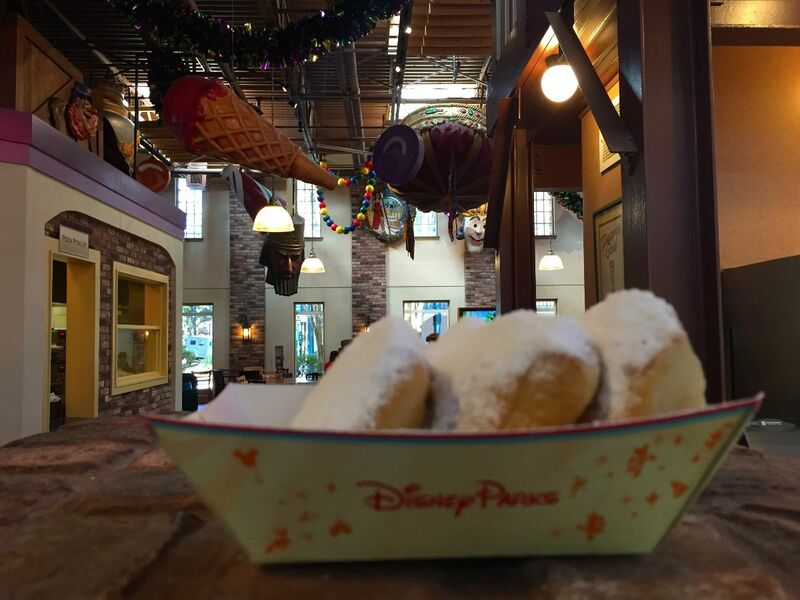 At the SATURDAY SIX offices, we call this a single serving of beignets. It is said that Walt Disney himself wanted garbage cans to be no farther than 30 steps apart from each other at Disneyland to encourage guests not to liter. Taking that concept to the next level, Walt Disney World has food carts seemingly every 10 steps in order to encourage us to eat something. While you can buy popcorn, churros, and turkey legs throughout the Magic Kingdom thanks to these ubiquitous carts, only Adventureland has one offering the Vegetable Egg Roll and Cheeseburger Spring Roll. Both are fantastic, but definitely try out the cheeseburger option if you’ve never had it before. 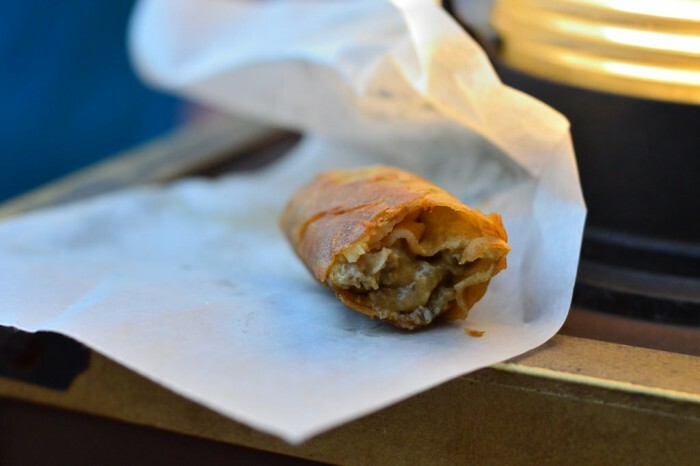 The hamburger and cheese inside a spring roll is certainly odd to see once you bite into it, but it is flavorful! 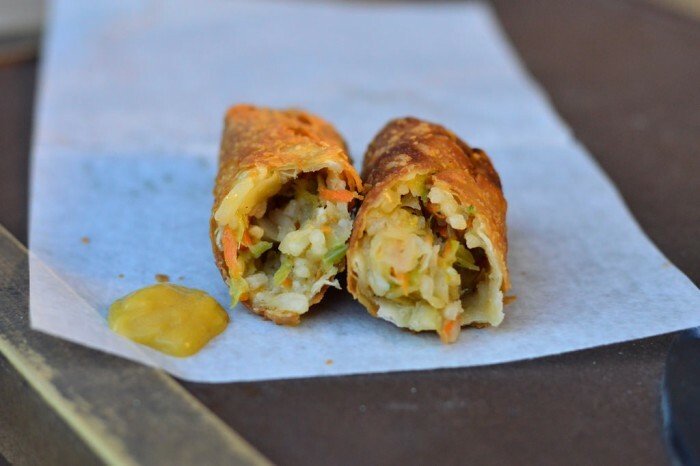 Sauces available include hot mustard and soy for the vegetable egg roll and ketchup for the cheeseburger spring roll. 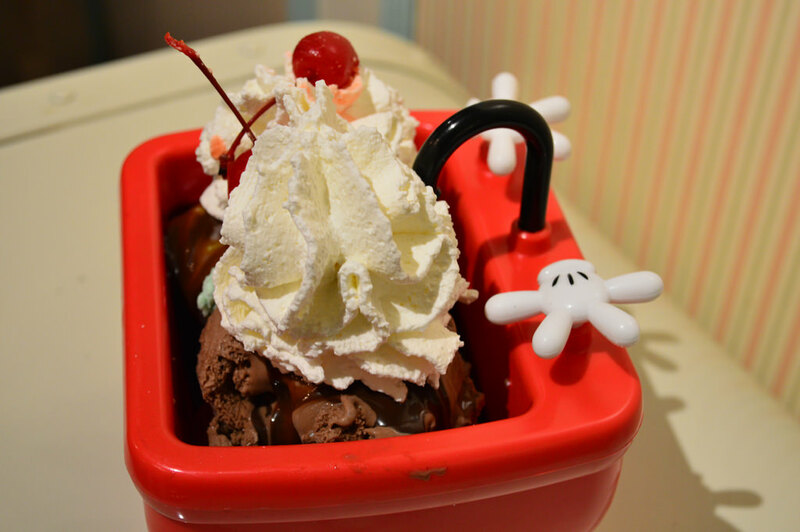 Hands down the most “fun” snack on the list is the Mickey Kitchen Sink Sundae. 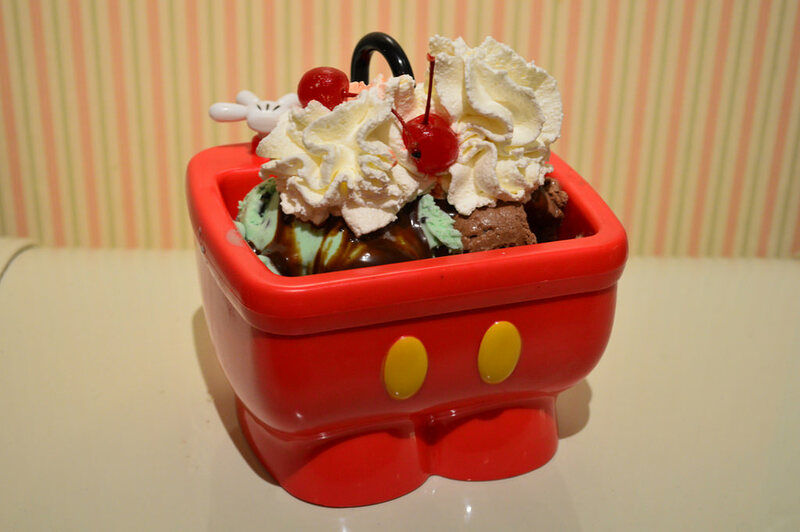 Formerly only available at the Beach Club’s Beaches & Cream, you can now also get the sundae inside the Magic Kingdom at the Plaza Ice Cream Parlor on Main Street USA. 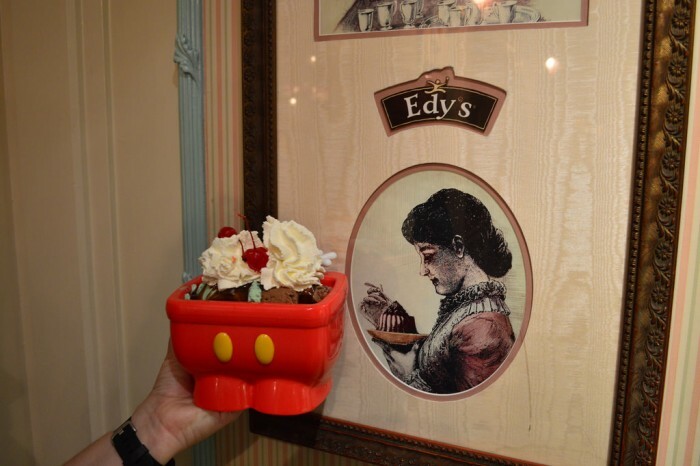 This is a preferable option because if you are at Beaches & Cream you should man up and do the real Kitchen Sink Sundae. What’s great about the Mickey Kitchen Sink is that you actually get to keep the Mickey Pants serving dish! You can also choose exactly which types of ice cream you would like as scoops in your sundae, which is definitely a plus as each person you are splitting it with can choose their favorite flavor. Pour on the hot fudge (caramel and peanut butter sauce also available), add some whipped cream and cherries and you are ready to go! If you haven’t had dinner at ‘Ohana in Disney’s Polynesian Village Resort, you should stop reading this article right now and go. We’ll wait for you. 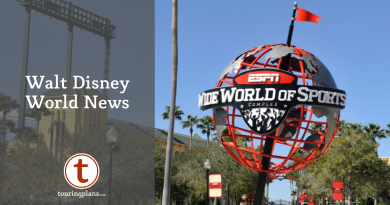 Unfortunately we probably needed to get into Doc Brown’s DeLorean and travel back to six months ago to tell you the news because ‘Ohana is one of the most in demand ADRs at Walt Disney World. An already popular restaurant is now even harder to get into thanks to apps and websites preying on Disney guests by scooping up reservations and selling them with a fee. However, one thing we can do without any ADR is go right next door to Ohana at the Tambu Lounge and order one of the best parts of the Ohana feast: the Bread Pudding. 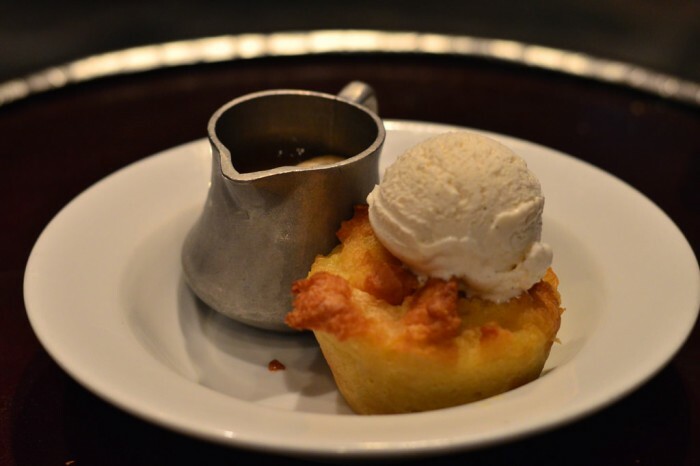 For less than $5 you get a single serving of the ‘Ohana Bread Pudding served with a scoop of Vanilla Ice Cream and a side of Banana-Caramel Sauce. 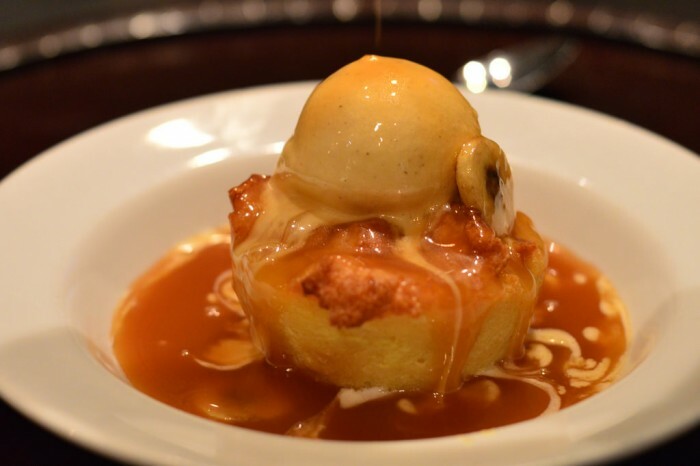 We recommend to slowly drizzle the sauce over the bread pudding to really whet your appetite. When completely covered, you might as well rename this dish to the more appropriate Heaven On a Plate. 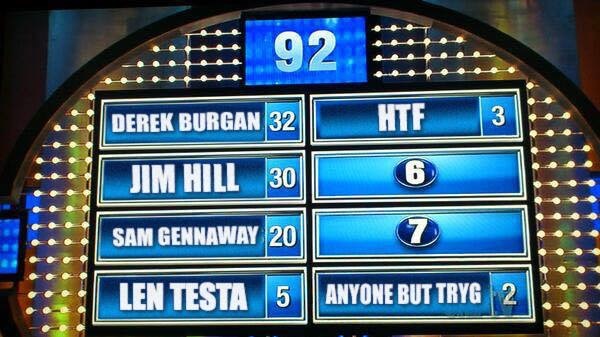 We polled 100 blog readers and asked who do you think could eat more unhealthy food than anyone else in the theme park industry? 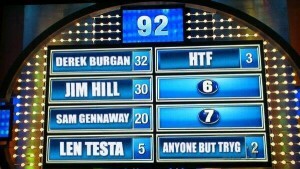 SURVEY SAYS…. 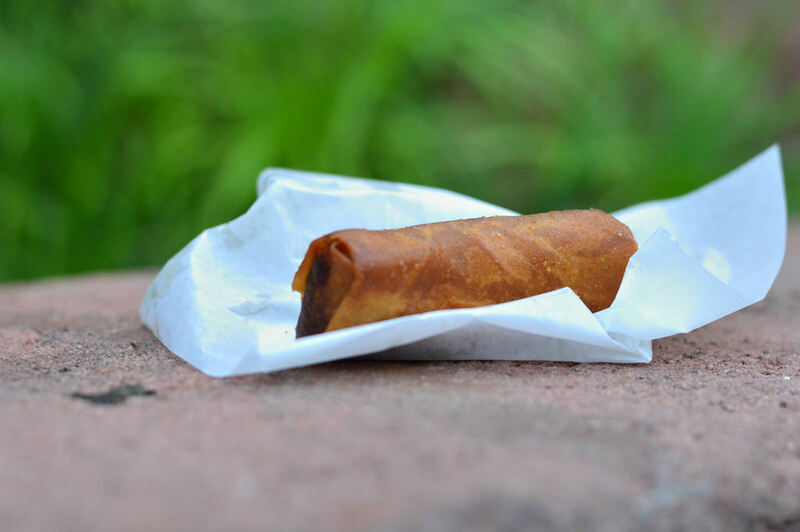 The egg roll cart was not there in April. A cart was peddling something else. Good news – The egg roll cart was back last weekend! Can you get the Mickey pants without buying the sundae? 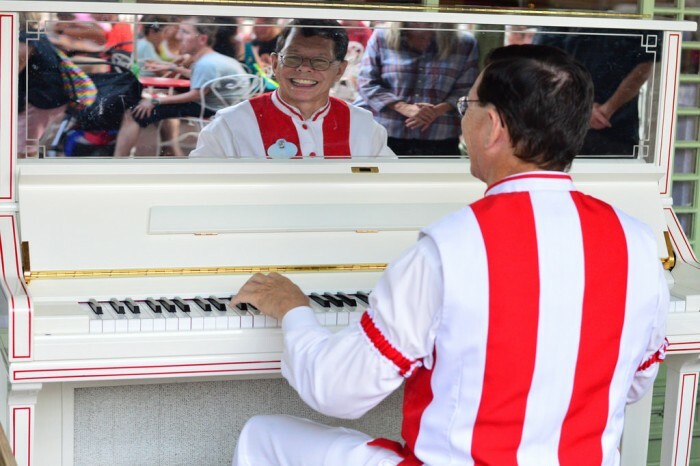 Can you get the Mickey Kitchen Sink at the Plaza Restaurant? 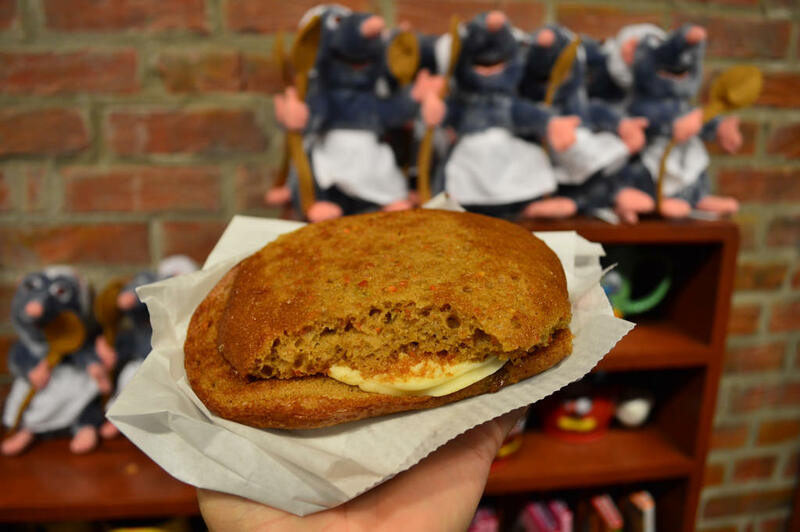 That carrot cake cookie is on my list for the upcoming trip, as is the bread pudding. Do you know what time of the day or evening it’s available at Tambu Lounge? I’m trying to incorporate it into arrival day. 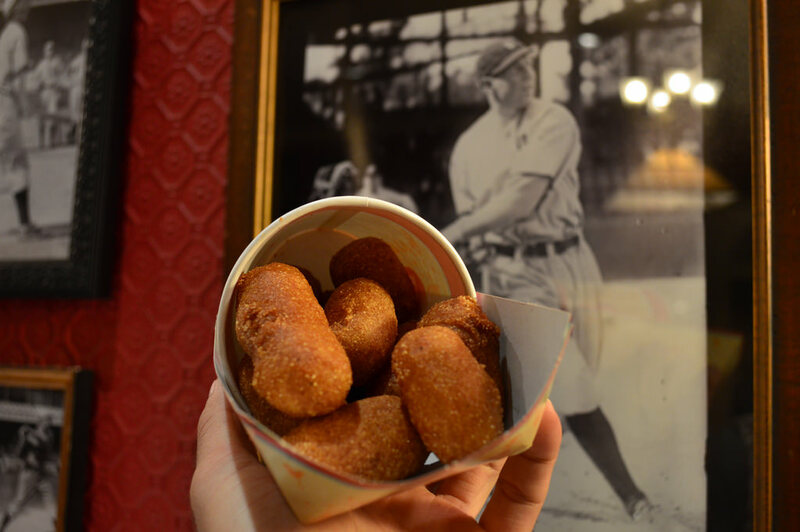 Three words, cream cheese pretzel. I had no idea about the bread pudding at Tambu lounge. It’s my favorite part of the meal at ‘Ohana. This is wonderful news! Ahh yes the mini corndogs. 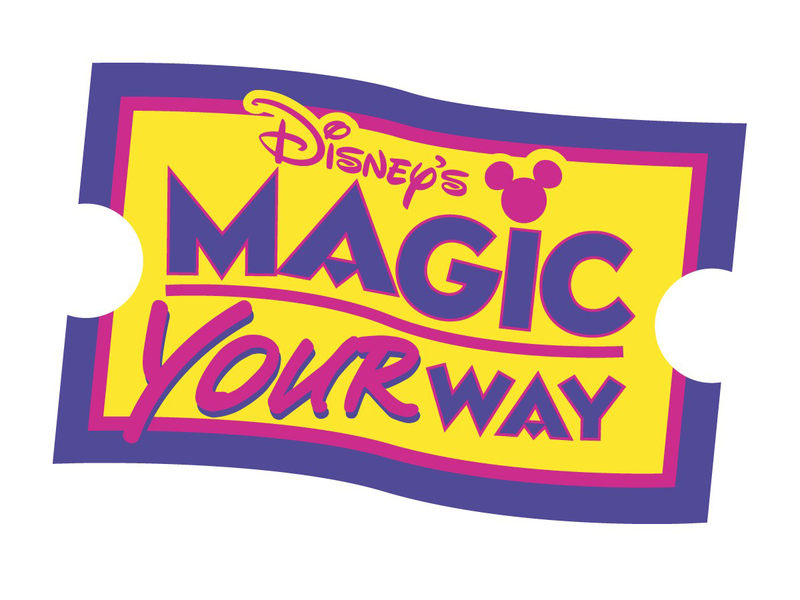 Brings back happy memories of my first trip to WDW with my friend who kindly hosted me in Florida. We were actually hard pressed for food as it was the evening where the 9pm fireworks had just finished and we didn’t fill up before then. Crowds were making a mass exit and we needed a quick pick me up before heading back to our hotel. First time I ever had a corndog ever in fact. Don’t get the sort in Britain.